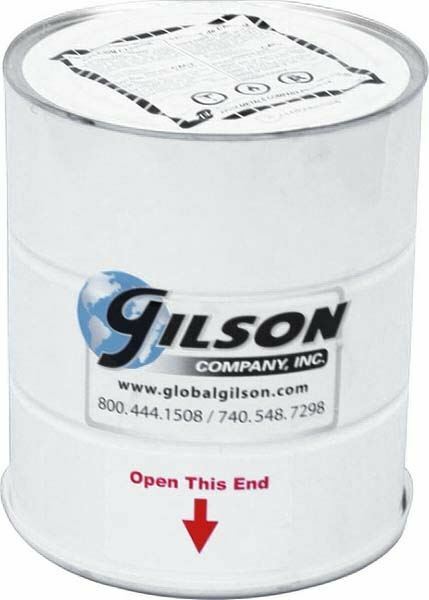 Calcium Carbide Reagent for Moisture Testers - Gilson Co.
MAA-44 Calcium Carbide Reagent for Moisture Testers is used with Gilson’s MA-26X Aqua-Check and Speedy 2000 Moisture Testers. A measured amount of reagent is placed in the unit’s test chamber with a 20g sample and two MAA-47 Pulverizing Steel Balls, where it reacts with moisture to pressurize the chamber. The reagent is sold in a 10lb (4.5kg) can. MAA-43 Empty 1lb Metal Can for Reagent is available separately for taking smaller amounts of reagent into the field for testing. Shipping restrictions apply to this product. Inquire for details.